In a bayside vs. blue-collar matchup, the San Francisco Giants will face-off against the Kansas City Royals in the World Series this year. The two teams couldn’t be more evenly matched. Separated by just a game in the regular season (Kansas City went 89-73, while San Fran went 88-74), the two teams are both the Wild Card champions for their respective leagues, which is the first time both Wild Card winners have met in the World Series. Neither team put up big runs during the regular season, as the Giants and Royals finished 12th and 14th in the majors in runs scored, respectively. The squads both have high-energy atmospheres in their respective clubhouses mixed with timely hitting makes for a killer matchup. Guys in Kansas City like Eric Hosmer and Lorenzo Cain will be matched up with egos like Hunter Pence and Pablo Sandoval. 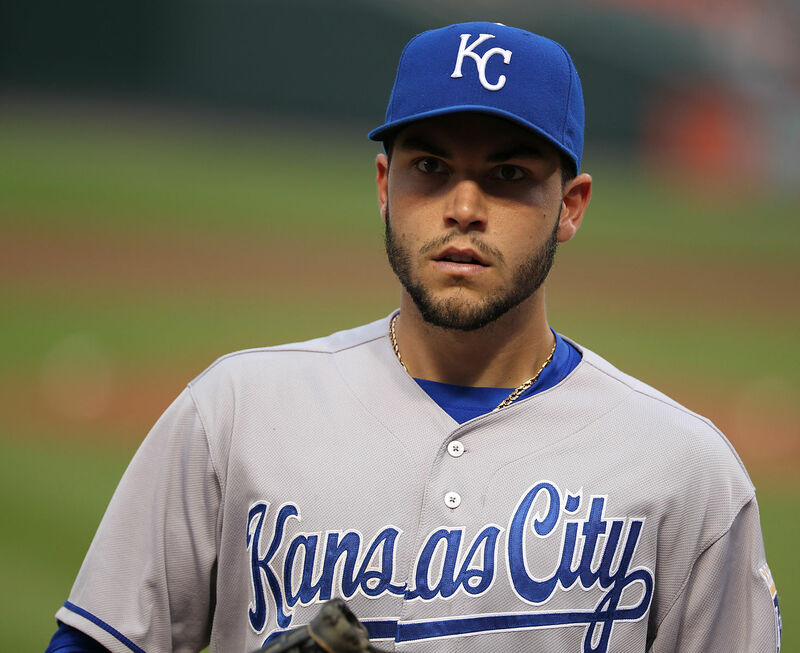 Eric Hosmer of the Kansas City Royals. Image courtesy of Keith Allison. They have plenty of differences, though. During the regular season, the Royals hit the fewest amount of home-runs in the entire league, compared to the Giants’ 17th-place finish. There are also countless intangibles that separate these teams like the invaluable, un-teachable experience that the 2012 Giants have over these young Royals who haven’t been to the playoffs since 1985. Led by future Hall-of-Famer Bruce Bochy, San Francisco fields five position players from the 2012 championship squad, as well as Madison Bumgarner and Ryan Vogelsong, who both recorded wins in that World Series. They match the Royals, who field one starter with any prior postseason experience (Omar Infante), and start seven homegrown players. Another difference between the two squads comes on the hill. 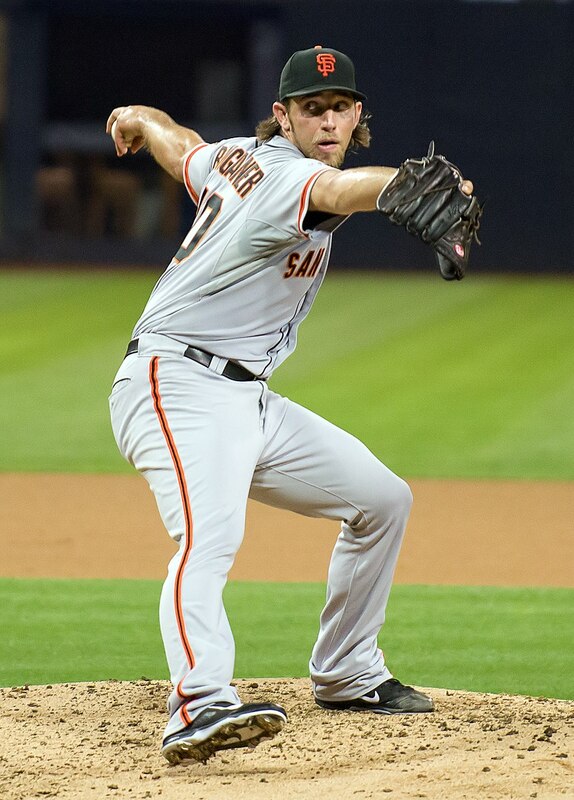 The Giants will run with a dominating four-man rotation featuring Bumgarner, Vogelsong, Tim Hudson and Jake Peavy – notably excluding former superstar Tim Lincecum. These guys consistently go deep into the game, where the Royals have relied heavily on their bullpen in the playoffs. “Big Game” James Shields has hardly lived up to his nickname, as he has collected just one win in three starts this postseason. Luckily, the bullpen has been un-hittable. Madison Bumgarner makes up the dominating four-man rotation of the San Francisco Giants. Image courtesy of SD Dirk. The sports world will learn a great deal from this series. Is it possible for the young team with timely hitting and young, energetic, homegrown talent to take down the experienced, skilled team with excellent pitching? I think yes. The Kansas City Royals will beat the San Francisco Giants in seven games in Kansas City. Most of ESPN’s baseball experts predict this series to go six or seven games. I agree, and hope it does. If one thing is certain about this World Series, we are all in for one heck of a series.